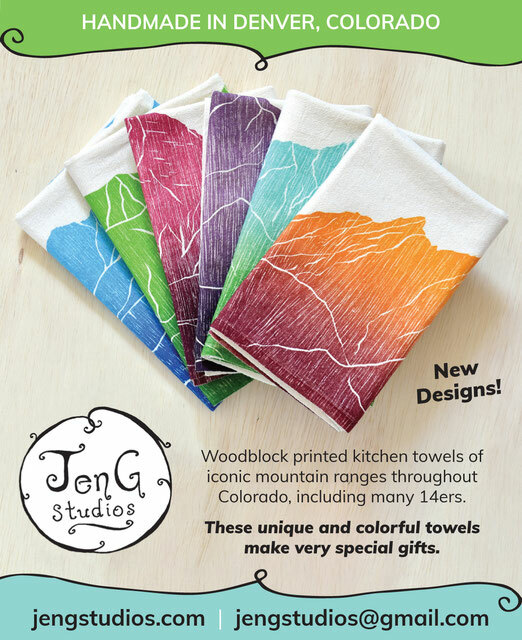 Kitchen Towels - Website of jengstudios! 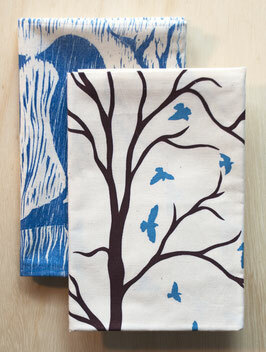 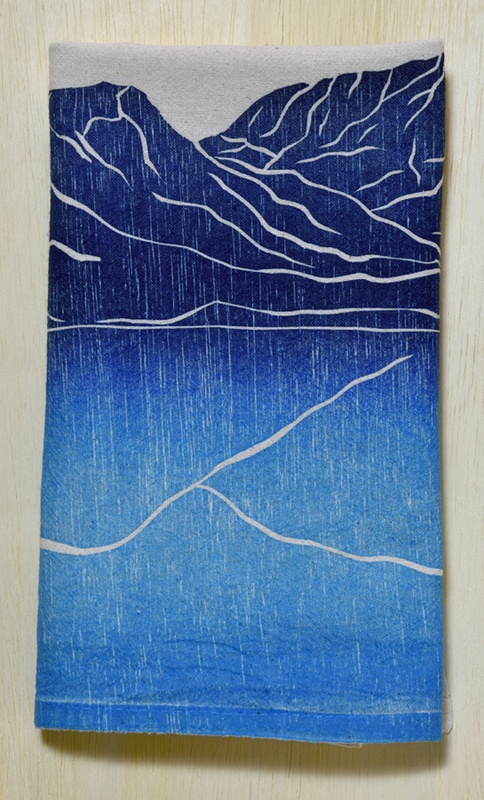 Textured woodblock print on natural flour sack material - soft and absorbent! 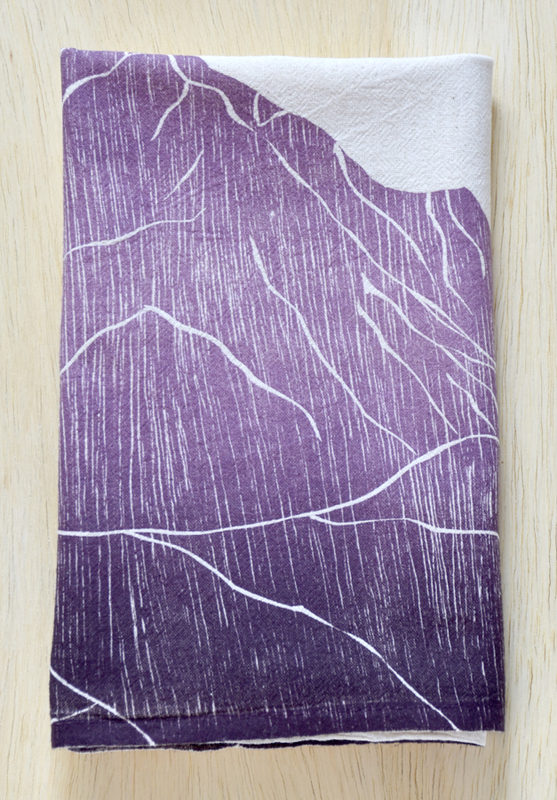 Extra special unique Colorado item for that perfect gift!! 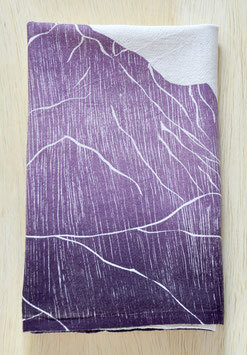 Just the thing to add a unique splash of color and handmade element to the kitchen. 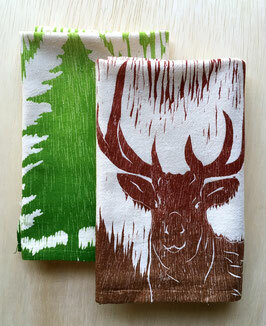 Beautiful and utilitarian, these towels are excellent for a variety of uses. 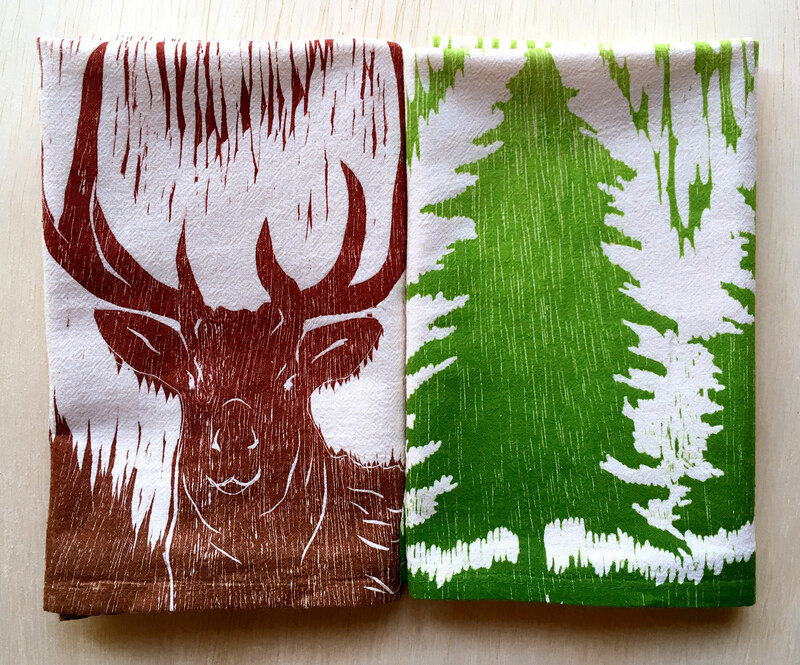 Two Elk + four trees kitchen towel set. 2 woodsy textured Elk carved with lots of chatter and mark-making. 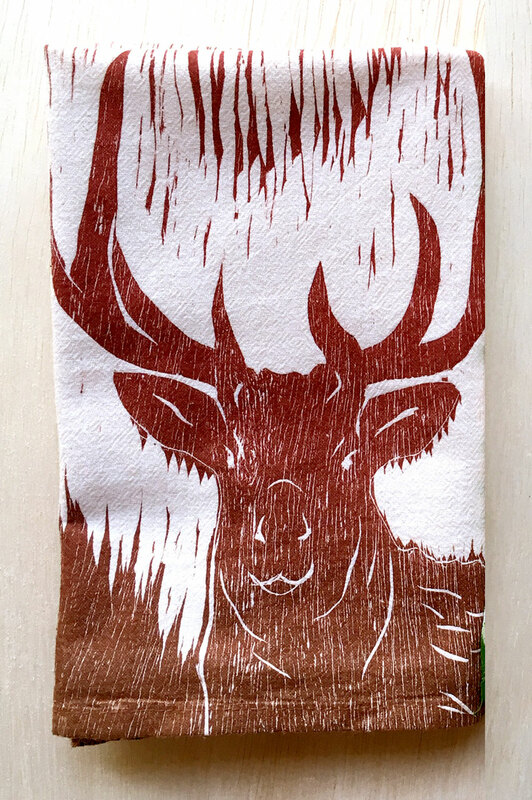 Printed in deep red to brown blend. Estes Park and Winter Park mountain ranges kitchen towel set. 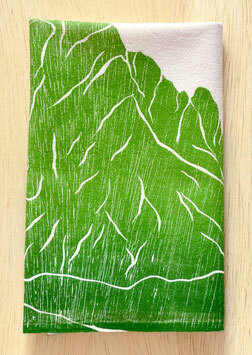 Estes Park + Longs Peak mountain ranges kitchen towel set. 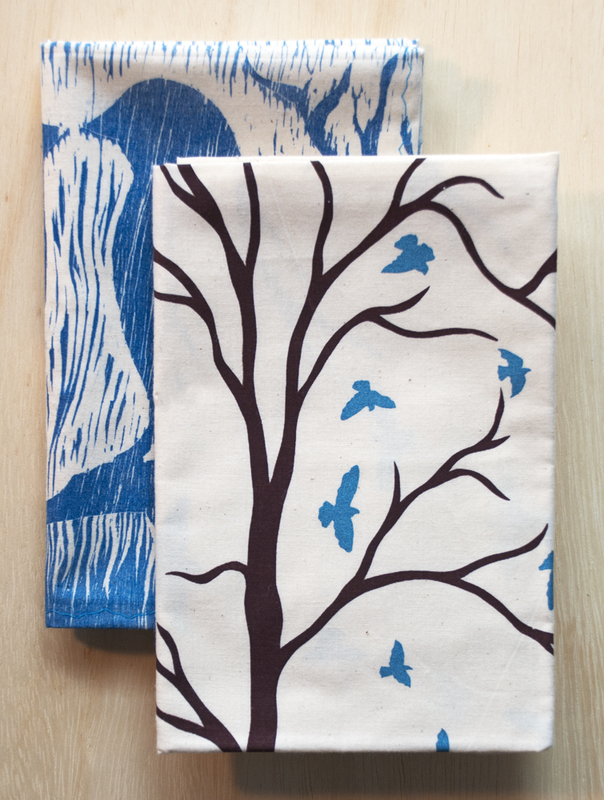 The best gift set! 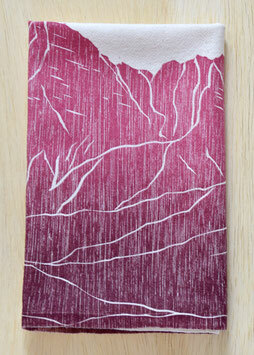 Rocky Mountain continental divide and Boulder Flat Irons. 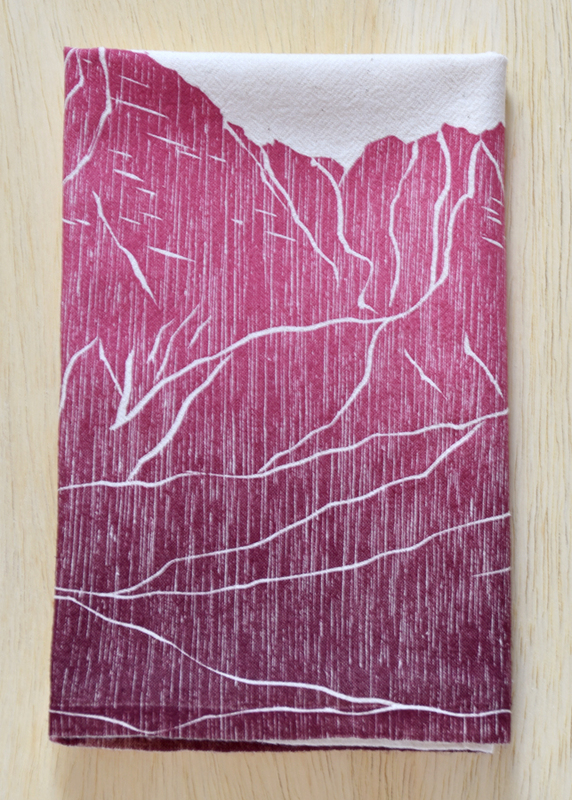 Red Rocks Amphitheater - in dark red! 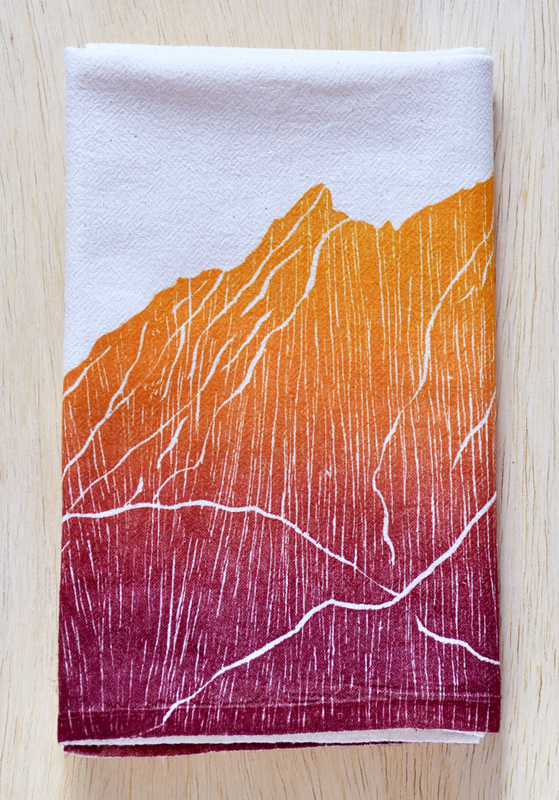 Mount Sneffels mountain, near Telluride/Ouray. 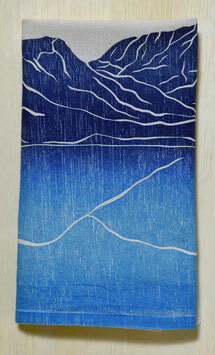 Perfect for the Roaring Fork Valley peeps! 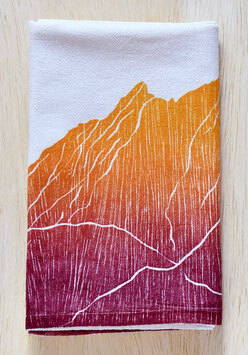 Mount Sopris and Maroon Bells mountain ranges kitchen towel set. 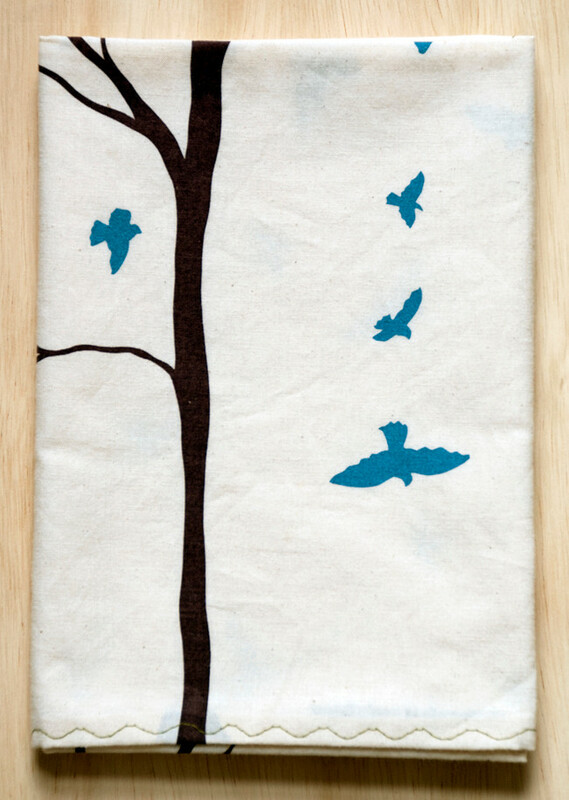 Your kitchen will never be lonely with this inspiring tea towel around! 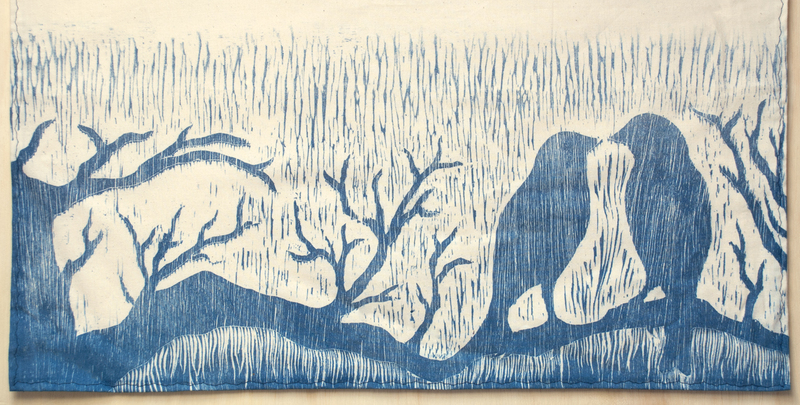 Love birds sit nose-to-nose on this textured, hand-carved woodblock tree print. 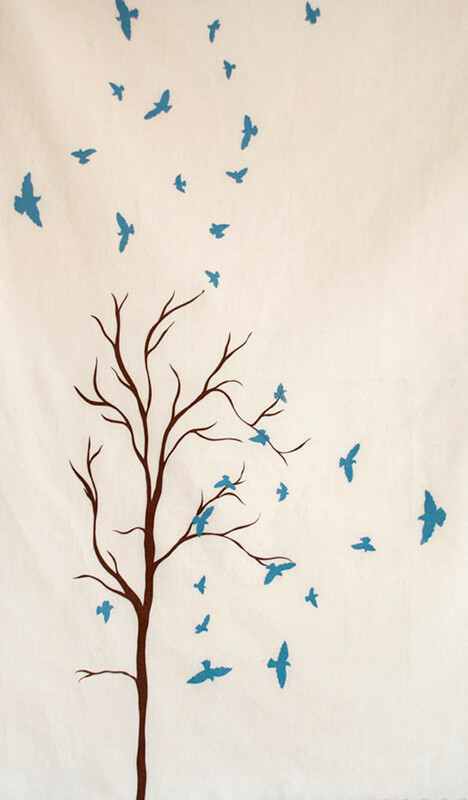 Your kitchen will never be lonely with this inspiring tea towel around! 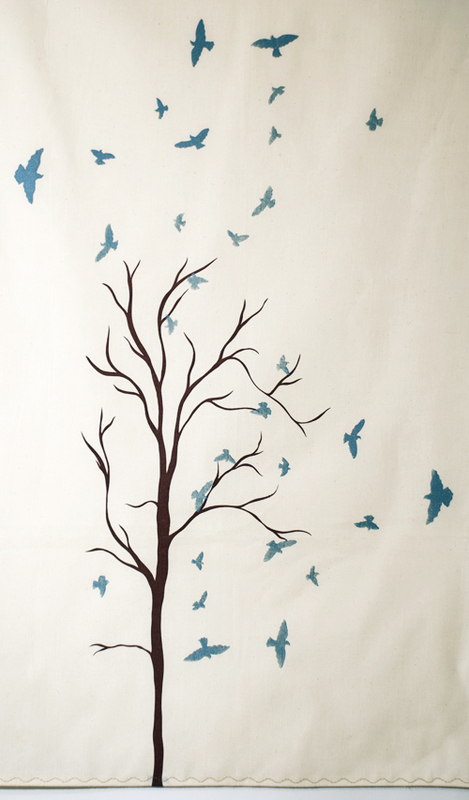 Blue shimmery birds fly and swirl around this elegant solitary tree. 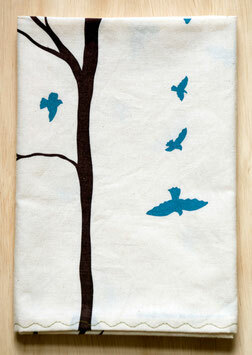 Screenprinted by hand in shimmery blue ink for the birds birds and brown ink on the tree. Printed on natural flour sack material - soft and absorbent!